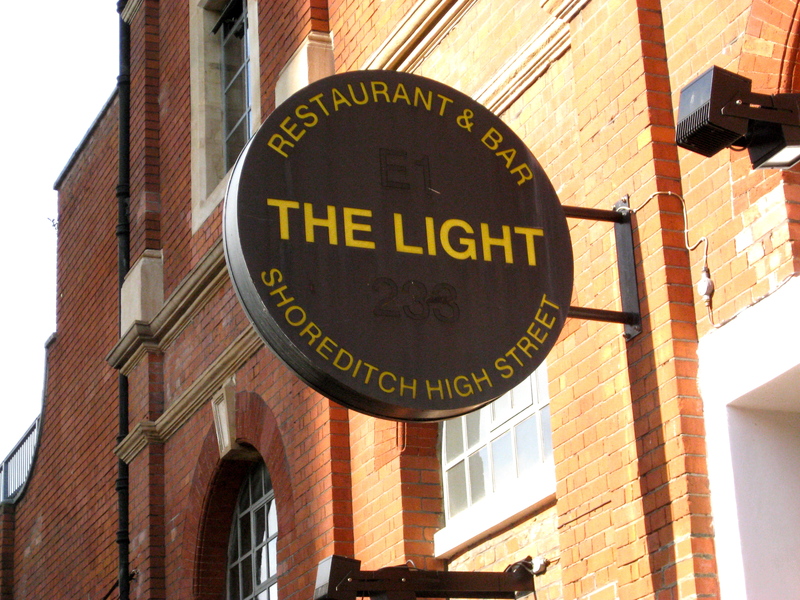 LONDON – I think the actual name of this place is The Light Restaurant and Bar, but no one I know calls it that – to us, it’s just “The Light”. This is one of my recommended bars for folks finding themselves in Shoreditch or The City (which is nearby) looking for a good spot to hang out. Housed in a 19th century electric light station, the indoor space has an industrial vibe and is absolutely massive – a rarity in space-starved London. 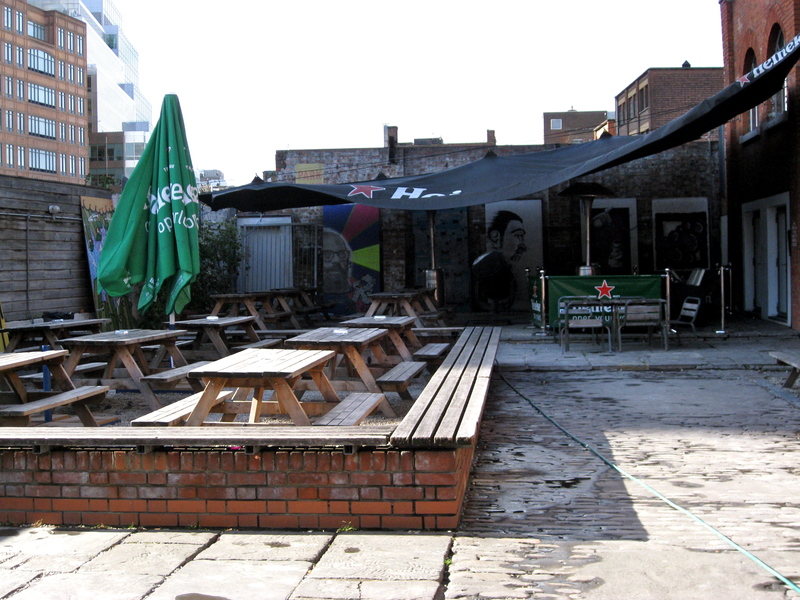 There is also a large outdoor space for nice days (and smokers). The crowd is a mix of Shoreditch hipsters and City workers, and is pretty much tourist-free. The real reason I like to support The Light, however, is that back in 2006 the building was under threat of being demolished to make way for a new skyscraper being constructed in the area. I hoped that my few pounds of patronage would somehow help the cause of the scrappy little building. It now appears that there’s been a rethink of the skyscraper’s footprint, thus The Light should be there for some time to come (though it appears the outdoor space my give way to the new neighbor). So, stop by and drink like the locals. Where is it? 233 Shoreditch High Street.